Marina Center represents an exciting new opportunity and vision for Eureka's future. Marina Center’s mix of carefully selected retail will meet important community needs, and it will offer affordable housing, offices, light industrial space, and space for non-profit organizations as well. 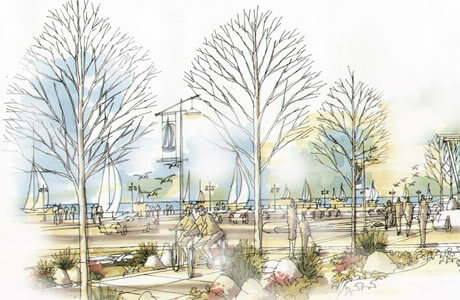 The project will also include recreational amenities such as the Discovery Museum, a 10-plus-acre coastal wetlands preserve with interpretive trails, and biking and walking paths connecting Marina Center to Eureka's historic downtown. Communication is a vital part of the Marina Center development process. In this section, we invite you to share your ideas, send Security National Properties your thoughts and support, and see what Eureka is saying about Marina Center. We look forward to hearing from you.